It’s not often that a pressure ulcer sets someone’s heart pounding, apart, perhaps, for the nurse who discovers that his or her patient has one. But this was the experience of Dr Jeffrey Levine, a current practitioner in geriatric medicine and wound care, on finding a copy of Charcot’s Lectures on the Diseases of the Central Nervous System, first published in 1877 and with it ‘the beginnings of the modern “avoidable-unavoidable” controversy on pressure ulcers’. Practising in Paris, Dr Charcot and Dr Henri Brown-Sequard proposed differing theories about the mechanisms of ‘bedsore’ development but then, Levine notes, ‘pressure ulcers dropped off the medical map for over a century’. They’re firmly on the map now but there’s much that we still don’t know. The debate about whether all pressure ulcers are avoidable continues, but this is not my concern here. I’ve got new evidence from Cochrane on dressings for pressure ulcers and nothing in it to set my heart pounding, unless it’s from frustration at primary research which has missed an opportunity to fill gaps in our knowledge because of methodological failings. Let’s see what we’ve got. Dressings: can evidence help us choose wisely? Decisions about treatment should take into account ‘known unknowns’ along with other considerations. The guidance from NICE on pressure ulcer management, published last year, states that gauze dressings should not be used to treat pressure ulcers and that practitioners should ‘consider using a dressing for adults that promotes a warm, moist wound healing environment’; but which? There is an array of sophisticated dressings available and evidence of their comparative effectiveness would help those selecting dressings to choose wisely. Cochrane Wounds (@CochraneWounds) is conducting a suite of reviews on different types of dressings to treat pressure ulcers, which will all be brought together in an overview. Their review on alginate dressings is now available and the review on hydrogel dressings was published earlier this year, with reviews on hydrocolloid dressings and foam dressings in preparation. We also have new evidence on negative pressure wound therapy for treating pressure ulcers. Alginate dressings contain sodium, or sodium and calcium, salts of alginic acid. They can absorb large quantities of wound exudate. The alginate forms a gel when in contact with the wound surface, which can be lifted off when the dressing is changed or rinsed away with sterile saline. The review includes six randomised controlled trials (RCTs) with 336 patients, who were followed up for eight weeks or less. Silver-alginate dressings and non-silver-alginate dressings were compared with each other, with other types of dressings or with radiant heat therapy. They found no evidence of a difference between alginate dressings and alternative treatments in terms of complete wound healing or adverse events. The quality of the evidence was low and the studies were at high or unclear risk of bias. Problems included poor reporting, small sample sizes and short follow-up. The relative effects of alginate dressings compared with other treatments remain unclear. Reviews of alginate dressings for treating venous leg ulcers and diabetic foot ulcers also found a poor evidence base and continued uncertainty. Hydrogel dressings are also designed to absorb wound exudate, or they can rehydrate a wound, depending on the wound moisture levels. A Cochrane review of hydrogel dressings for treating pressure ulcers includes eleven RCTs with 523 people, comparing these with other dressings or a topical treatment, collagenase. It remains unclear how hydrogel dressings compare to others for helping pressure ulcers to heal as the evidence was so poor. The trials were all small, had short follow-up times and were at unclear risk of bias. An earlier review of hydrogel dressings for diabetic foot ulcers found some indication that hydrogel dressings may be better than basic contact wound dressings but the poor quality of the data means that there is considerable uncertainty about this, and there was no information on how they compare with other advanced wound dressings. Still guessing then. Negative pressure wound therapy (NPWT) is the application of suction to a dressing covering a wound, taking wound and tissue fluid away from the area into a canister. 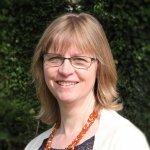 Some of you may have heard our Director Dr Martin Burton talking on Radio 4 (here) last night about a Cochrane review* which found that hospital-devised NPWT dressings were associated with fewer wound complications and less pain than commercial versions when used for surgical wounds and skin grafts, at a lower cost, as I reported in this blog. Now a new review has looked for evidence on NPWT for treating pressure ulcers and found very little to go on. The four RCTs with 149 participants did not shed any light on the benefits or harms of NPWT in this context. Once again, the trials were small, poorly reported, of short or unclear duration and ‘contained little in the way of useful data’. There has been plenty of help available to improve the quality of primary research for a long time now and it is disappointing that we continue to see so much research that is less useful than it could have been. A good starting point, for those interested in how the reliability and value of healthcare research can be improved, is The EQUATOR (Enhancing the QUAlity and Transparency Of health Research) Network. The EQUATOR Network is ‘an international initiative that seeks to improve the reliability and value of published health research literature by promoting transparent and accurate reporting and wider use of robust reporting guidelines.’ Now that’s something to get the heart pounding. *This Cochrane Review was updated in March 2019. Despite the addition of 25 trials, results are consistent with the earlier review. Dumville JC, Keogh SJ, Liu Z, Stubbs N, Walker RM, Fortnam M. Alginate dressings for treating pressure ulcers. Cochrane Database of Systematic Reviews 2015, Issue 5. Art. No. : CD011277. DOI: 10.1002/14651858.CD011277.pub2. Dumville JC, Stubbs N, Keogh SJ, Walker RM, Liu Z. Hydrogel dressings for treating pressure ulcers. Cochrane Database of Systematic Reviews 2015, Issue 2. Art. No. : CD011226. DOI: 10.1002/14651858.CD011226.pub2. Dumville JC, Webster J, Evans D, Land L. Negative pressure wound therapy for treating pressure ulcers. Cochrane Database of Systematic Reviews 2015, Issue 5. Art. No. : CD011334. DOI: 10.1002/14651858.CD011334.pub2. Keogh SJ, Nelson EA, Webster J, Jolly J, Ullman AJ, Chaboyer WP. Hydrocolloid dressings for treating pressure ulcers (Protocol). Cochrane Database of Systematic Reviews 2013, Issue 2. Art. No. : CD010364. DOI: 10.1002/14651858.CD010364. Walker RM, Keogh SJ, Higgins NS, Whitty JA, Thalib L, Gillespie BM, Dumville JC. Foam dressings for treating pressure ulcers (Protocol). Cochrane Database of Systematic Reviews 2014, Issue 10. Art. No. : CD011332. DOI: 10.1002/14651858.CD011332. O’Meara S, Martyn-St James M. Alginate dressings for venous leg ulcers. Cochrane Database of Systematic Reviews 2013, Issue 4. Art. No. : CD010182. DOI: 10.1002/14651858.CD010182.pub2. Dumville JC, O’Meara S, Deshpande S, Speak K. Alginate dressings for healing diabetic foot ulcers. Cochrane Database of Systematic Reviews 2013, Issue 6. Art. No. : CD009110. DOI: 10.1002/14651858.CD009110.pub3. Webster J, Scuffham P, Stankiewicz M, Chaboyer WP. Negative pressure wound therapy for skin grafts and surgical wounds healing by primary intention. Cochrane Database of Systematic Reviews 2014, Issue 10. Art. No. : CD009261. DOI: 10.1002/14651858.CD009261.pub3. As usual a fantastically clear summary of where we are Sarah; and we are nowhere. Thank you – and it is rather depressing, isn’t it?